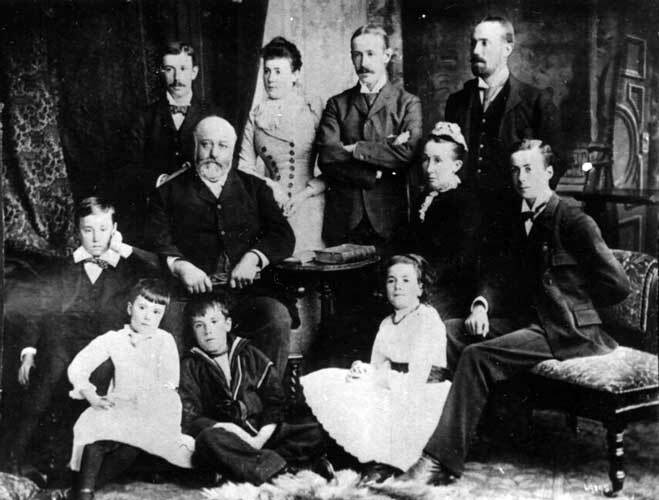 Hilda Slayter (later a Titanic survivor) is shown with her family when she was around 9 years old in the early 1890s. Back row L to R - Edward Wheeler Slayter, Clarina Louise Slayter, John Howard Slayter & William Firth Slayter. Middle row L to R - Charles Keeler Slayter, Dr William Bruce Slayter (Hilda’s father), Clarina Underhill Slayter (Hilda’s mother)& James Morrow Slayter. Front row L to R - Margaret Maclean Slayter, Robert Underhill Slayter and Hilda Mary Slayter.